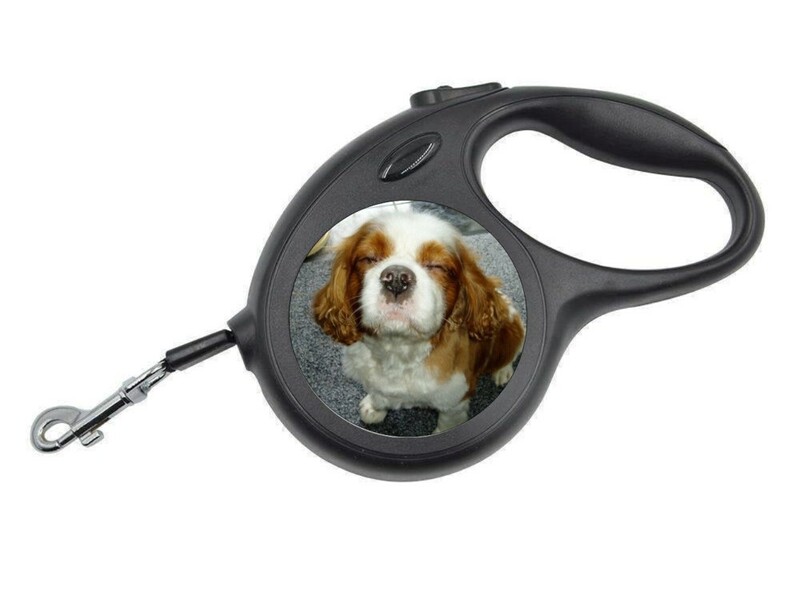 Personalised Large Black Retractable Dog Lead. Retractable pet lead with metal clip and quick lock function. The traction rope length is 16 feet and the rope diameter is 0.6inch. The maximum tension is 110lb. The lead holder itself measures 21 x 14cm.